I’m in the home stretch now. 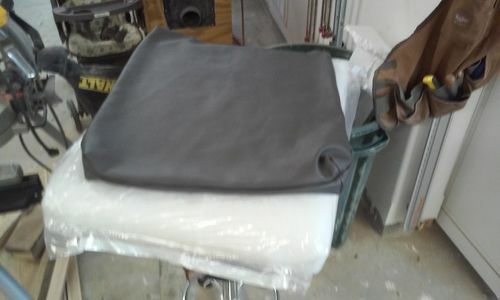 I don’t have pictures of this, but I cut out 2 pieces of leather for the cushion, in the exact same way as the seat cushion. Squares cut out of the corners. I then sewed up the corners with a blind stitch. The front and back are still separate. Then I prepared to sew the zipper on. 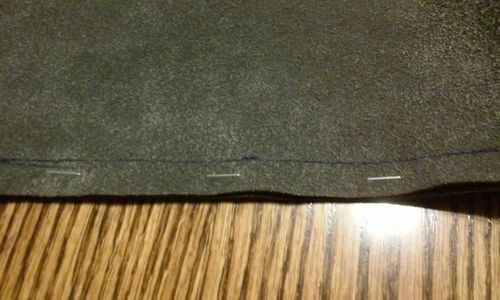 I sewed the front and back sides together with my usual 1/2” seam allowance, blind stitch. 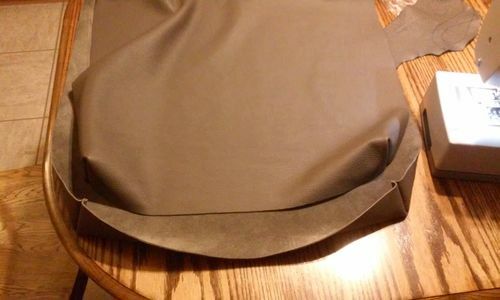 Then I flattened the seam as much as possible and placed the zipper upside down on the seam. I used double sided tape to hold it in place while I sewed it. I sewed on each side of the zipper. Easier said than done. 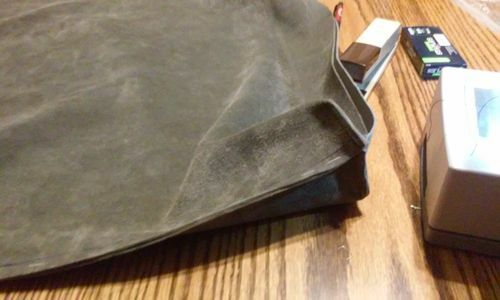 Zippers are hard to sew on leather. This is what it looks like from the other side. Not that great. Luckily for me, the zipper is on the bottom, and you won’t see it unless you take off the cushion. 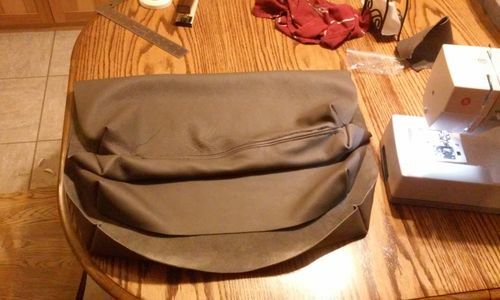 I had to rip out the first seam that I made so that you can open up the zipper. 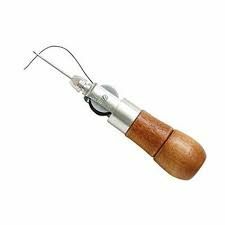 Dear wife was helpful in giving me sewing hints. Problem is, most of them don’t work on leather. 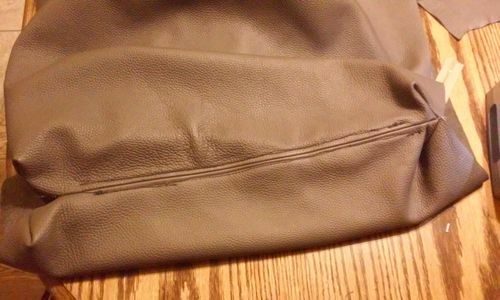 You can’t just “iron flat” the seam to lay the zipper on. Now I’m ready to sew the front an back together. I used staples to hold them together for sewing, just like on the seat. Now I turned it inside out. On to the foam. 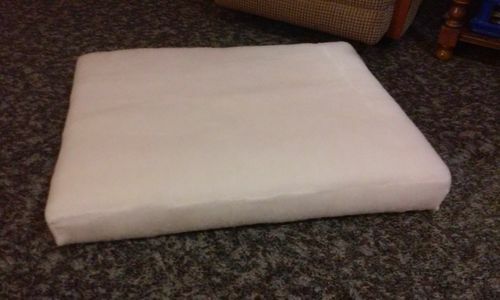 I cut out some 3” foam, and wrapped it in dacron, wrapping once the long way, and once the short way, using spray adhesive to keep it all in place. 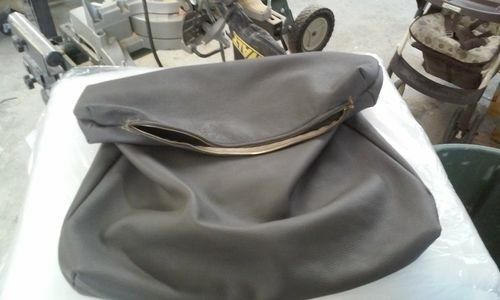 Then I had to stuff the cushion into the leather. This may be the easier part I did on this project. 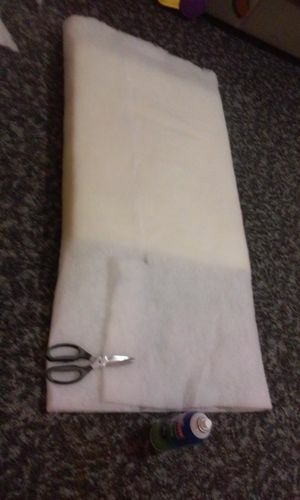 I watched a Youtube video and learned this trick: Put the cushion in a dry cleaner bag. 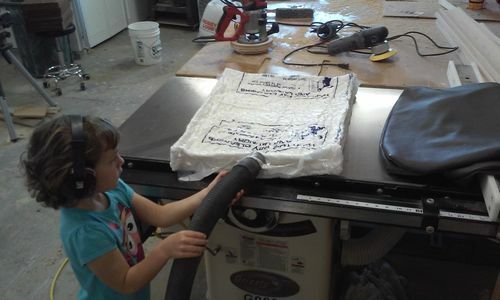 Then hook up the shop vac, and watch it shrink with a stupid grin. I had a mighty cute helper for this! 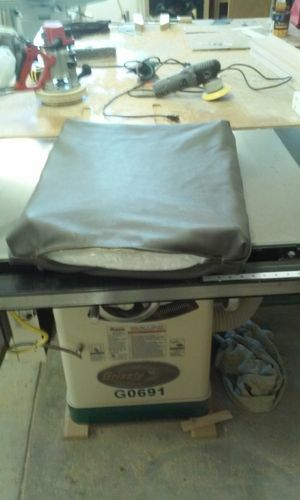 Stuff cushion in, shut off shop vac, and then pull/rip out the dry cleaner bag. I test fit the cushions. And applied finish. 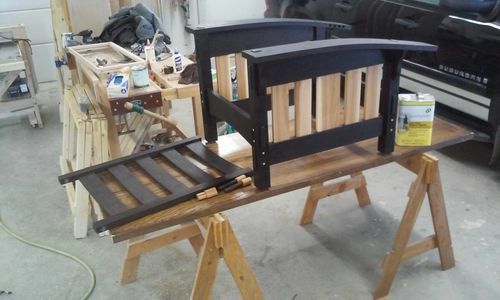 One coat of Danish Oil, 3 coats of Arm R Seal wipe on poly, and then rub out the finish with steel wool and paste wax. My project post will be up shortly – I don’t have any good shots of the final product, so I’ll have to go take some! Great stuff Pete. 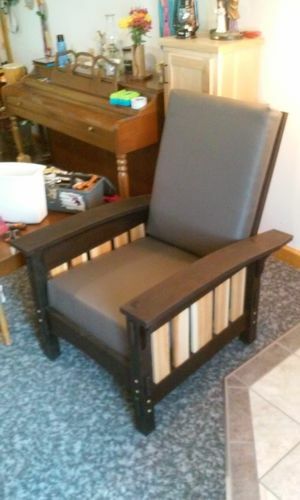 Really nice work on the upholstery and overall chair build. Congrats on taking on the upholstery job! You did extremely well. It looks great! 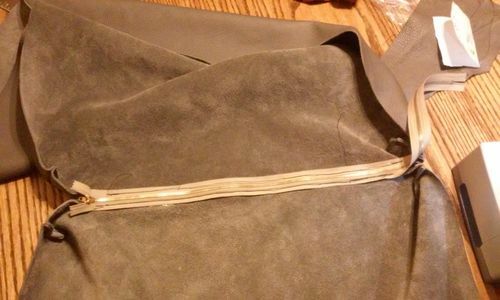 A little hint for sewing thick seams: hammer them! It works great. 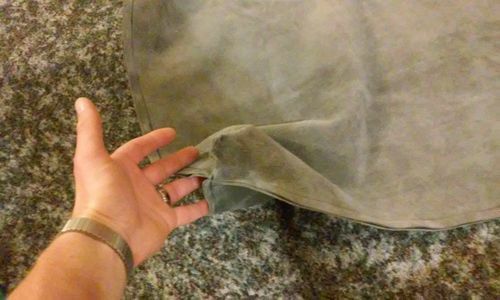 You can get through multiple layers of heavy fabric/leather just by hammering those area until they flatten and thin out. Thanks for the tip & compliment, L/W! I’ll try that next time.